The U.S. Securities and Exchange Commission charged the Nasdaq stock exchange with violations of securities law for its “poor systems and decision-making” during Facebook’s initial public offering, the agency has announced. Nasdaq has agreed to pay $10 million, the largest SEC settlement with a stock exchange, to settle the agency’s charges, the SEC said in a press release. 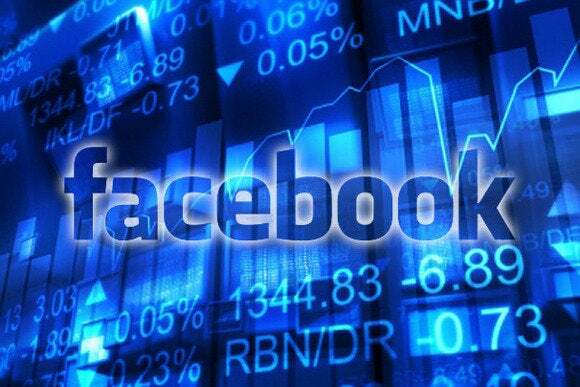 A design flaw in Nasdaq’s trading system disrupted Facebook’s IPO in May 2012, despite anticipation that the social network’s IPO would be the largest in history, the SEC said. When that happened, Nasdaq officials “made a series of ill-fated decisions,” the agency said in a statement. “Exchanges have an obligation to ensure that their systems, processes, and contingency planning are robust and adequate to manage an IPO without disruption to the market,” the SEC said. During an emergency conference call, members of Nasdaq’s senior leadership team decided not to delay the start of secondary market trading in Facebook with the expectation that they had fixed system problems by removing a few lines of computer code, the SEC said. The decision to move forward led to the violation of several Nasdaq rules, the agency said. The system problem caused more than 30,000 Facebook orders to be delayed in Nasdaq’s system for more than two hours, the SEC said. “This action against Nasdaq tells the tale of how poorly designed systems and hasty decision-making not only disrupted one of the largest IPOs in history, but produced serious and pervasive violations of fundamental rules governing our markets,” George Canellos, co-director of the SEC’s Division of Enforcement, said in a statement. Nasdaq has taken several steps to address the issue, Robert Greifeld, CEO of the NASDAQ OMX Group, said in a statement. The company has created new CIO and global head of market systems positions, and it has deployed new processes for changing its technology, he wrote. Nasdaq has also established a dedicated engineering team to monitor daily system performance, he added. Despite the Facebook incident, Nasdaq has “compiled a consistent track record, maintaining open, reliable markets with 99.999 percent uptime,” he added. The matching of buy and sell orders in an IPO is referred to as “the cross.” The systems problems encountered during the Facebook IPO on May 18, 2012, caused the cross to fall 19 minutes behind the orders received by Nasdaq, according to the SEC’s order. More than 38,000 Facebook orders placed between 11:11 a.m. and 11:30 a.m. Eastern time were not included in the cross, the SEC said. About 8,000 of those orders were entered into the market at 11:30 a.m. when continuous trading commenced, and the remaining 30,000 were stuck, the SEC said. Just before the cross, Nasdaq officials noticed a discrepancy between the final indicative pricing and volume totals and the actual totals on NASDAQ’s internal systems, the SEC said. This discrepancy indicated that there was still a problem with the cross and that some cross-eligible orders may not have been handled properly. But the stock exchange failed to address this issue during the minutes and hours following the cross, the SEC alleged. The SEC’s order found that Nasdaq violated parts of the Securities Exchange Act of 1934 by not complying with several of its own rules and failed to maintain sufficient net capital reserves on the day of Facebook’s IPO.